I adore trying out new skincare products. I’ve been trying out some new products over the last couple of months and I’ve now added these few into my regular routine. 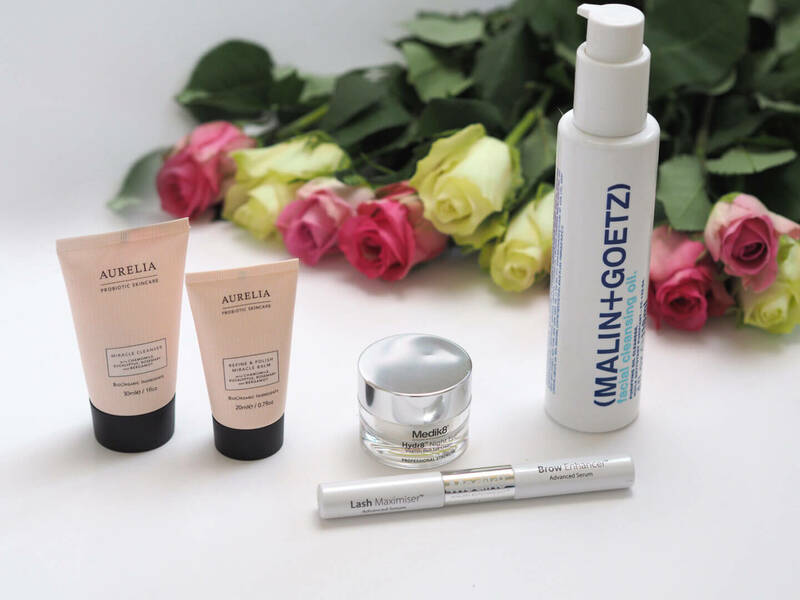 I was looking for my favourite Tata Harper cleanser in Space NK when the assistant recommend the Malin & Goetz range. I said I was interested in trying an oil cleanser, having never previously used one (other than balms which turn to oil). This cleansing oil is incredible. It literally destroys all makeup. I don’t know how I could have ever removed my makeup in the past without it. It’s that good. This is definitely a first cleanse, to rid your face of all traces of makeup, before going in with your second cleanse to clean your skin. This oil is now a firm favourite and I’ll be definitely repurchasing. A little bit of product goes a long way, meaning for £30, I think it’s quite reasonable. The lovely ladies at Bellissima gifted me Medik8 eye kit. I’ve been going to Bellissima for around 3 years now and I absolutely love the salon. I waited to use the Hydra Night Eye cream, as it contains Retinol and I’d been having peels. A little bit goes a long way, you use the same amount of cream as a grain of rice under each eye, and I couldn’t believe how far it went. It’s very gentle and just feels very moisturising; I was a little apprehensive using Retinol for the first time! I haven’t been the best at using eye creams in the past, so it’s something I’ve been forcing myself to do. I must admit, I didn’t have high hopes for the Lash Maximiser and Brow Enhancer. I thought it was probably a fad product that wouldn’t work. I was wrong. I love the Brown Enhancer which you apply twice a day and brush through your brows. I am certain this made my eyebrows thicker and longer. I found the Lash maximiser a bit of a pain to use as its applied with very thin applicator which I found went into my eyes, so if I’m honest I can’t report back on this yet as I don’t feel I’ve used it consistently! If you have thinning brows, I definitely recommend buying this duo. 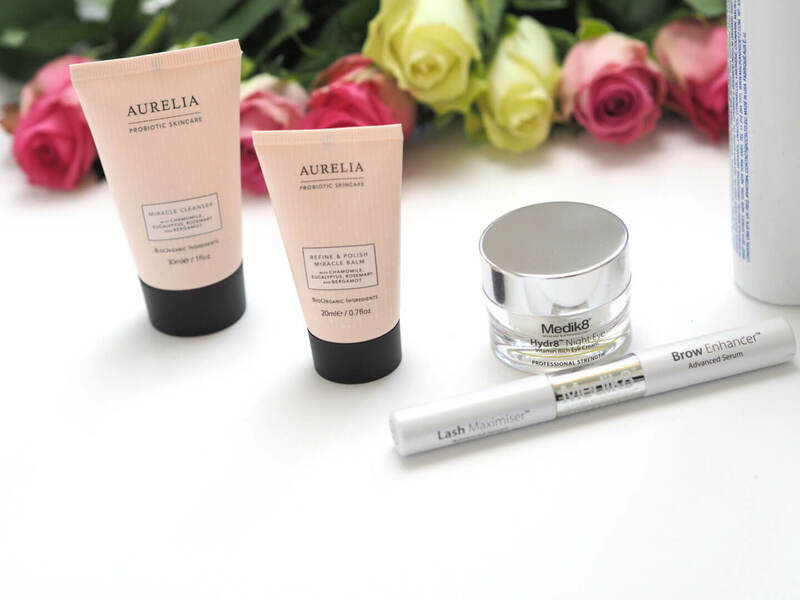 I was sent a sample of the Aurelia Miracle Cleanser and the Refine and Polish Miracle Balm. I’d heard a lot about the brand, particularly from Caroline Hirons. The key ingredients in both of these products is chamomile, eucalyptus, rosemary and bergamot. Both products smell lovely; the exfoliator is more heavily scented and is a gel with rice bran beads. The exfoliator is actually an exfoliator/mask hybrid so you can leave it on the skin to work its magic, before massaging and removing. I found I could really feel this product working, which I assume would be courtesy of the fruit enzymes. My skin felt wonderfully soft and smooth after I washed this off with their bamboo muslin cloths. The Miracle Cleanser is an unbelievably gentle cream cleanser. It is very light and left my skin feeling clean, without drying it out. I think this would be the perfect addition to my morning routine, particularly in winter when skin is dehydrated. Out of both products, the Miracle Balm is definitely my favourite and I’d splurge on a full sized product. 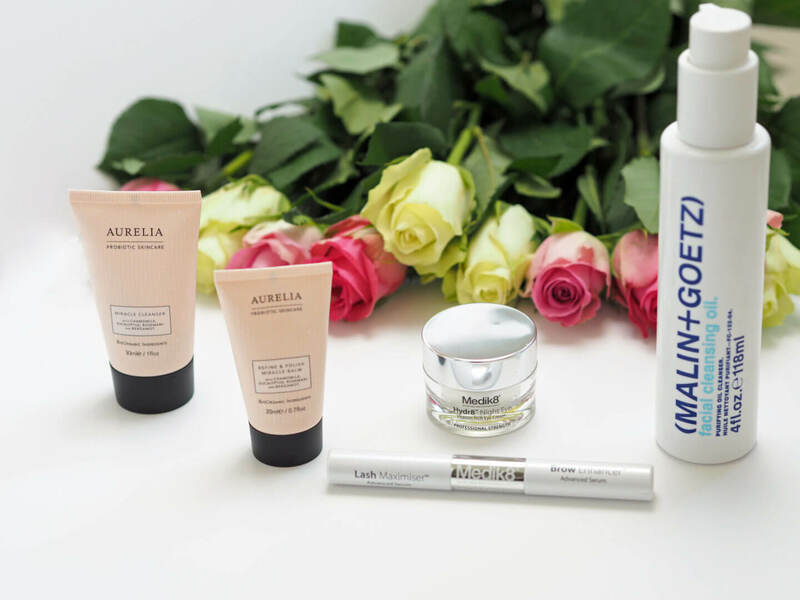 Have you tried any new skincare products recently? I’d love to know if you’ve tried any of the above products, and your thoughts on them too! That cleansing oil sounds really nice! It’s fantastic, definitely give it a try!